Transport your casseroll in style with this patterened casserol carrier from CR Gibson. Colourfully designed small square accent bowls, comes in with 3 different designs. Made of ceramic and measures 5" square. Perfect for breakfast or afternoon snacks. Display your newest baking creations! 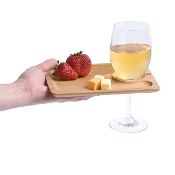 If you are a wine lover, this is the perfect serve ware for you! 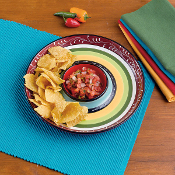 Perfect for on-the-go entertaining, the LANG chateau rouge melamine chip n' dip platter will not disappoint! Wine lovers will adore this beautiful relish tray. The LANG chateau rouge melamine relish tray features the artwork of Greg Gorham and is a perfect piece for entertaining. 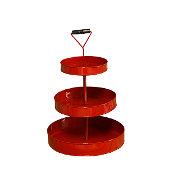 A large three tier serving stand from Kraft Klub. Features three stands. Who doesn't need a little love? All while serving with this heart with wings tray. Size: 18.9" X 13.9" X 2.0". Features iconic pop artist Romero popular Icon Designs and his signature use of vivid color and bold graphics. 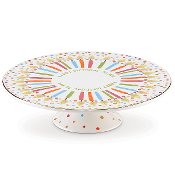 Featuring iconic pop-artist Romero Britto's popular A New Day design, the set of 3 rectangular shaped painted glass plates showcase the artist's signature use of vivid colors and bold graphic designs. Display your beautifully decorated Christmas sugar cookie for your next holiday party! 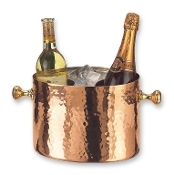 These hand hammered décor copper trays will add elegance to any gathering. Lacquered to resist tarnishing. 16" Wooden lazy Susan with Rooster Design This elegant wood lazy Susan features a vintage-inspired design that lends style to the table while protecting it from hot bowls and pans. 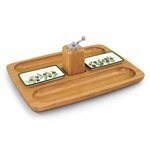 1.98'' H x 20'' diameter Wood / medium-density fiberboard Hand wash New from Old Dutch International - Treat your guests to a taste of early 1900's Paris with this "Art Nouveau" tray. Beautifully chased design is handcrafted and finished by skilled artisans, making each an individual work of art. Verdigris and Coppertone Finish on metal. New from Old Dutch International - This serving tray set will enhance any dinner or cocktail party. Decor Copper tray with Cast Brass Handles for easy serving. 17\"x13\" New from Old Dutch International - Serve your favorite hors d'oeuvres on these elegant solid copper trays. Lacquered to resist tarnishing. 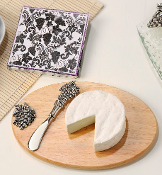 Serve little plates of artisanal cheeses with this vintage-inspired lazy susan tray. Since 1950 Old Dutch has been supplying the best in imported housewares and giftware. Famous for their copperware, Old Dutch offers a large assortment of baker's racks and pot racks in materials like chrome, verdigris, colorful enamel stainless. New from Old Dutch International - Heavy gauge copper decor serving tray. New from Old Dutch International - Accent your kitchen with these stovetop salt-and-pepper shakers. Made from antique pewter-plated stainless steel and embossed with a handcrafted chaise motif, these shakers are an absolute kitchen essential. Skilled artisans handcraft the Victoria Antique Pewter Canister Set, making each an original work of art. 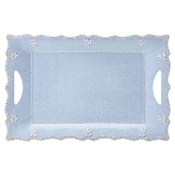 Color: Pewter Material: SS, antique pewter plating New from Old Dutch International - Serve your important guests from this wonderfully detailed rectangular tray reminiscent of early 1900's Paris. 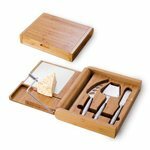 Picnic Plus Bamboo bread and cutting board with matching bamboo knife Part of our Greenophile Collection the Bamboo and stainless steel tools are stored in an arched caddy along with the coordinating solid bamboo cutting board. 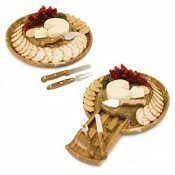 Perfect for the kitchen or the deck, this set is quite attractive whether in use or not. Our unique Picnic Plus hand carved Christmas tree shaped cheeseboard is laser etched with a holiday flourish design Old Dutch Solid Copper Double Chiller w/Al Insert, 7 Qt Keep your libations at the perfect temperature with this elegant hammered solid copper 2 bottle chiller. Removable Insert. Lacquered to resist tarnishing. Old Dutch 16-Ounce Solid Copper Moscow Mule Mug, Set of 4 This set of 4 Moscow Mule mugs are made of nickel-lined Solid Copper with solid brass handles. These sturdy mugs feature a tarnish-resistant clear finish over the copper for lasting beauty and luster. 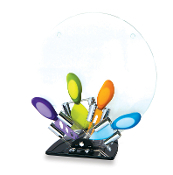 This utensil holder is made of enamel on steel with stainless steel rims. This would be a good addition to the color collection in your kitchen. 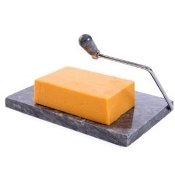 This decorative cheese cutting board is a perfect addition to any kitchen. Comes with high quality spreader and grape motif. Giftcraft Christmas Season Kitchen Serving Tray Giftcraft has come back this season with a serving tray in red and green colors in a classic Santa Claus pattern. Tray reads "Believe in the magic of the season" Size: 12" x 16"
Hummingbird Glass Bottle Hanging Solar Accent Light A beautiful gold glass wine bottle wrapped in a hummingbird motif. Hang these anywhere, but can be a great accent to a pathway or garden. Requires 1-AAA battery, not included Average 8 hours per charge. 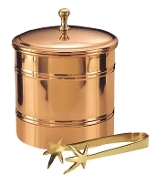 Size: 3.4" x 3.4" x 12.2" Old Dutch 3-1/2-Quart Ice Bucket with Brass Tongs Add panache to any cocktail party with this 2-1/2-quart ice bucket made of solid copper with brass accents. A plastic lining in the bucket prevents the grating sound of ice on metal and allows easy clean-up when the party’s over. This polished marble board with integrated stainless steel slicing wire is perfect for slicing both hard and soft cheeses. 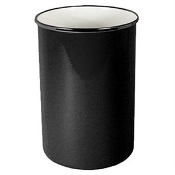 Serve beverages at your next event or party in style. 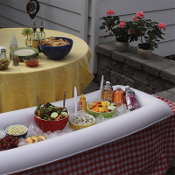 This large party tub is perfect for filling with ice and serving cold bottled or canned drinks. 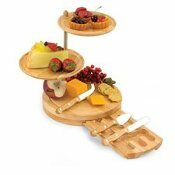 Picnic Plus Paris 5 piece glass cheeseboard with contemporary cheese knives in an acrylic holder With its elegant thick wall design, this exquisite crystal clear wine bucket will impress all. Great for indoor or outdoor entertaining. 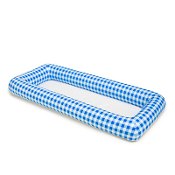 Made from shatter-proof styrene, the Big Square Party Tub may be used to hold iced drinks, waters, party punch, community foods, and may even bathe a small pet or child if the need arises. 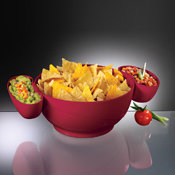 This Prodyne Chips and Dips Bowl will bring everything together in one convenient serving station. 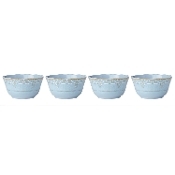 The three piece set includes a large bowl and two clip-on dip cups. Perfect for both indoor and outdoor entertaining. Comes in Red or Green. 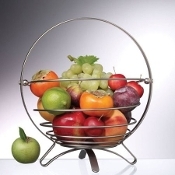 Fruit Nest style basket by Prodyne. Spiral design, folds flat for easy storage. Set of 3 Decor Copper Oval Trays. Each hammered tray is hand-made each an original work of art. Perfect for an artful buffet display the solid brass handles make them equally at ease passing hors d\'oeuvres at a cocktail party. 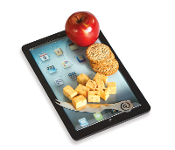 With plenty of room for "apps" and cheese, our unique tablet designed glass cheese board now brings technology to home entertaining. 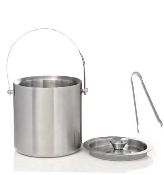 Picnic Plus Tennis racquet shape cheese board and tools The Jamboree Ice Bucket keeps your ice cubes colder longer with a double wall stainless steel ice bucket. A definite necessity for any home bar or hotel room. Insulated metal cover. 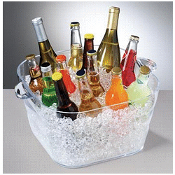 This stylish ice bucket also makes a perfect gift. Wooden cutting board with cheese wire and stainless steel cheese tools. 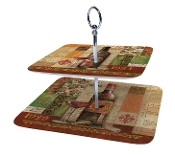 This wine coaster allows you to display your bottle of wine on a wooden table without worrying about leaving a ring. Pewter chip and dip serving tray. 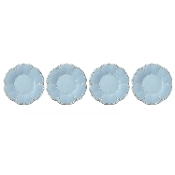 The Abundance six piece small bowl set is made of beautiful enamel on steel which is perfect for serving food on the table before snapping on the lid to store leftovers in the refrigerator.